Cristiano Ronaldo of Juventus during the UEFA Champions League Round of 16 Second Leg match between Juventus and Club de Atletico Madrid at Allianz Stadium on March 12, 2019, in Turin, Italy. 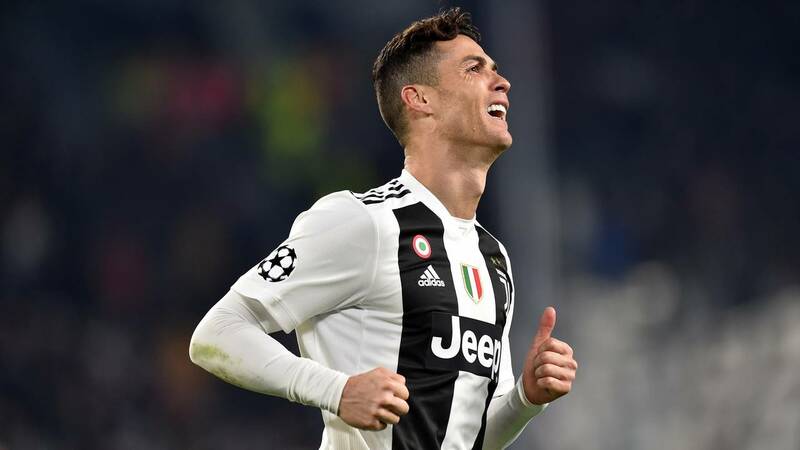 (CNN) - Cristiano Ronaldo is facing disciplinary action after his "cojones" celebration in Juventus' 3-0 win against Atletico Madrid in the Champions League. After completing his hat trick, Ronaldo appeared to mimic Atletico manager Diego Simeone, who had celebrated a goal by grabbing his crotch in the first leg of the tie. European football's governing body UEFA charged Ronaldo with "improper conduct" on Monday and he could now face a ban from his side's Champions League semi final first leg against Ajax. However, Simeone avoided a touchline ban for his actions and escaped with a 20,000 euros ($22,700) fine. UEFA said the Ronaldo's case will be dealt with by its Control, Ethics and Disciplinary Body at its next meeting on March 21.